Never have been a genius at maths in school, I couldn’t have imagined in later life I’d get a sudden urge to own all the geometry books I could find. I don’t remember ever doing geometry at school, I’m sure it was never classed as maths if I did. So the first time I saw the geometric sketches of the Steiner approach I think I fell in love. 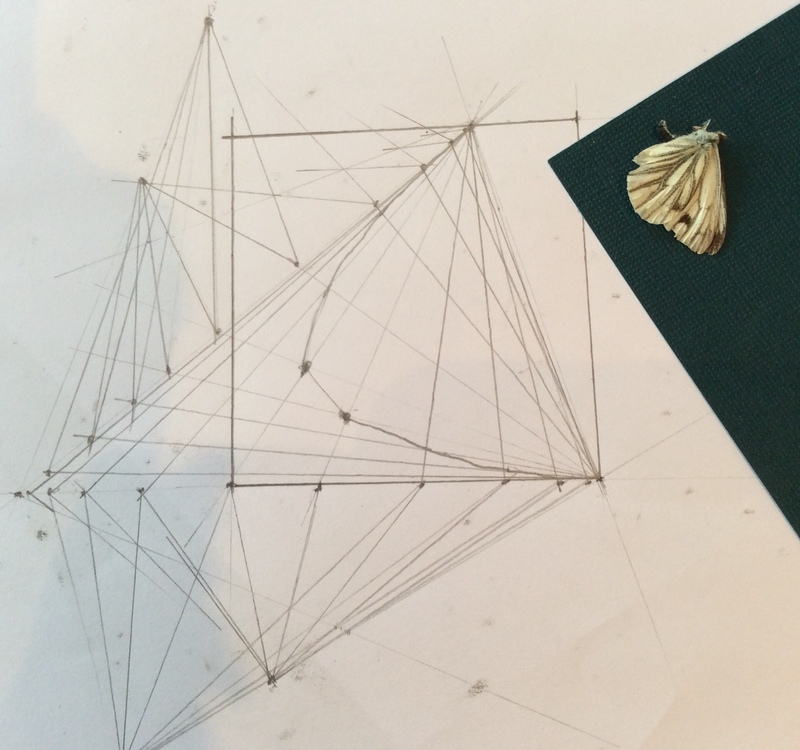 I’ve always have a fascination with natural geometric forms in nature study and so all of a sudden these worlds collided and my journey into learning geometry in all its manifestations began. I’ve been through Euclid and then taken in the mind blowing possibilities of Projective Geometry. Soon after that came the discovery of ‘Inversion’ which I struggle to understand, I’ve had many a conversation with engineers and felt completely out of my depth. I’ve embarked upon a love of modular origami and in doing so discovered geometric progression. All the time I’ve paused to return to natural forms. Then there was Quadrivium which really opened my eyes with the four lessons of number, geometry, music and cosmology of the classical arts. And while we are on the classics of course there was Descartes and Kepler to name just a few that have contributed to the conversation on planets and their forms over the last several hundred years. I have listened to the chords made by the resonances of the celestial spheres (yes, I really have) and plotted the patterns made by the conjunctions of planets together. All the while I am loosely still in the realm of a form of natural geometry, but it’s just all so out of this world. Spirals in Time by Helen Scales brought me back down to earth in a full on love affair with molluscs – really you have to read it. Whoever thought molluscs and their geometric shells could be so fascinating? I have endured many a ribbing from my partner on the subject. His reading is firmly rooted in crime fiction so each to their own. Then of course there is sacred geometry of which I am sent so many links. Stone circles and the Flower of life. The lines between sacred and natural geometry can blur if you let them, I ponder sacred but I remain firmly rooted in natural forms. This connection I think brings us again to the liberal arts of the quadrivium. From which can be formed the birth of the musical scale as we know it today and most of the religious architecture we see around us. 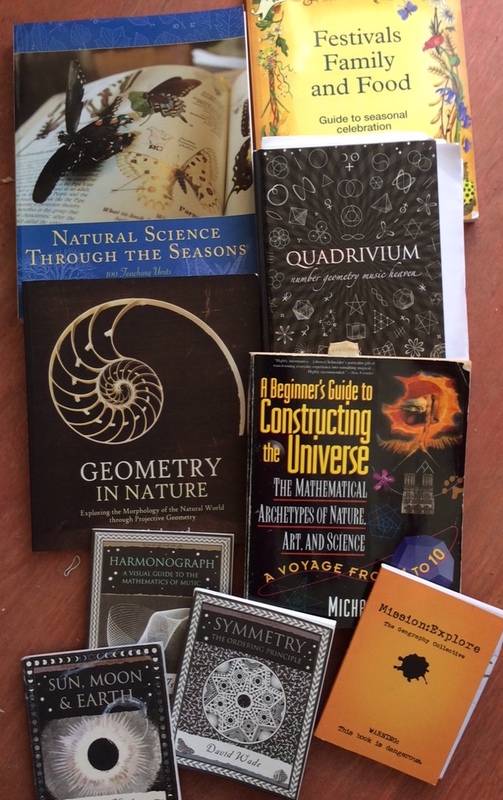 The geometry books on my shelf started to multiply, but there was not only those. Kindle’s shelf of geometry books is heaving under the virtual weight of it. There are wonderful discoveries to be made through geometry and the imagination and so many other steiner geometric lessons online. Again I return to nature, sketching out growth sequences with my newly acquired projective geometry skills and techniques. And this week I’ve refreshed my rather thin understanding of world geometry with the maths book that is so good I bought it twice. 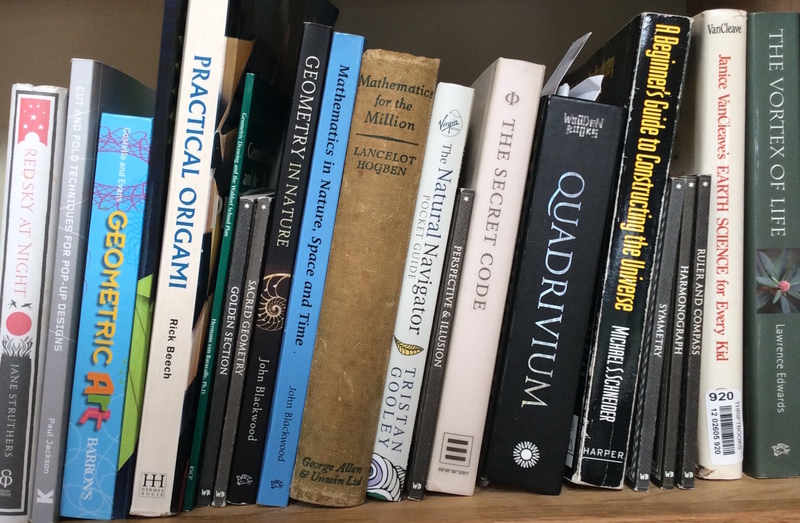 Anyone who is familiar with Maths for the Million by Hogben will know its been reprinted and published more times than can be counted during the last century proving its value to the reader even today. Here I’ve read how the mariners and the ancients embarked on encompassing the globe for which all previously learnt Euclidean geometry left them wanting as they sailed the world in spherical triangles. All the while my brain is stretching to take it all in and turn it into something to share and that seems approachable. Discovering the vortex of life and the all real tetrahedron seem somewhat beyond the grasp of most 9 year olds. Every time I get overwhelmed I return to just observing, just looking for the tangible link between a natural form and a simple shape. But I’m enjoying the ride. It may look like an ordinary bookshelf but there is a world of shapes sat there just waiting to be discovered.